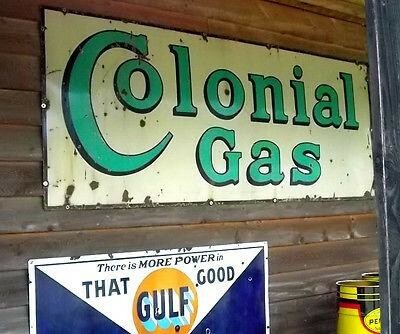 This simple sign is for Colonial Gas. The sign is a muted white with green lettering. The green lettering reads “Colonial Gas in two rows.